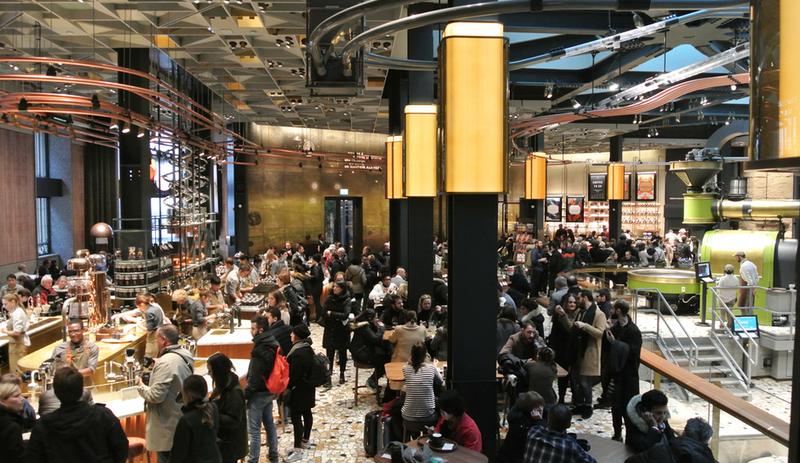 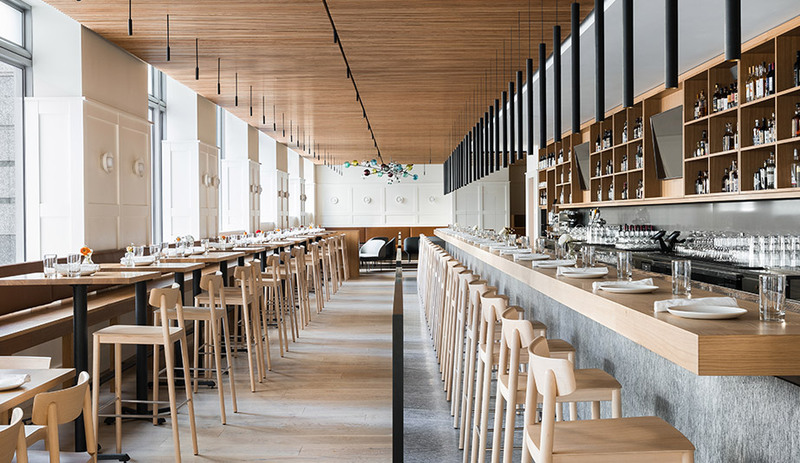 It first abounded on fashion runways and on the backs of celebrities, and, just recently, within the halls of Salone del Mobile, where designers splashed the hue on chairs, cabinets and ceramics. 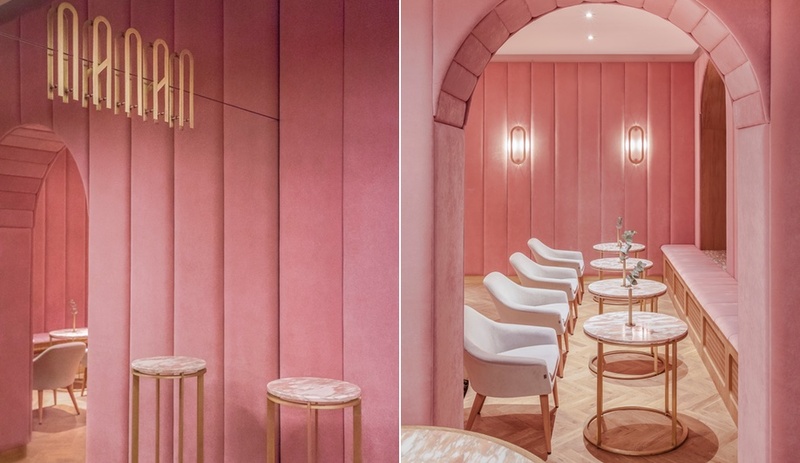 Millennial pink, a dusty rose shade that can be traced to, depending on who you ask, Tumblr, Apple or Pantone, is seemingly everywhere. 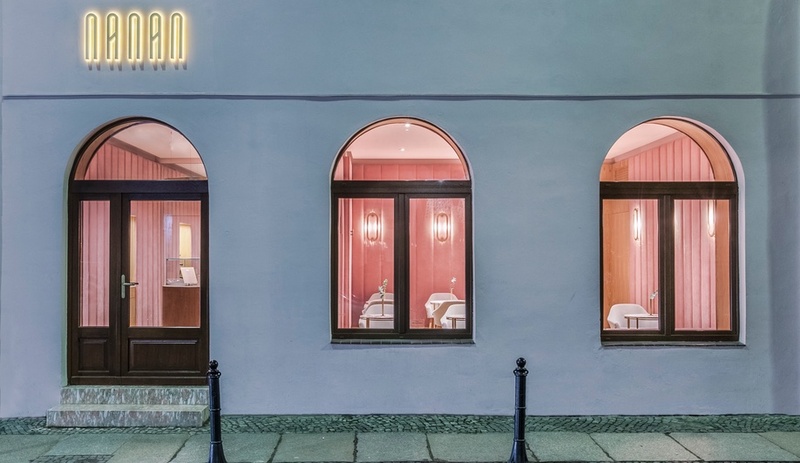 One of the best applications of the colour we’ve seen recently is at Nanan, a modern patisserie in the heart of Wroclaw. 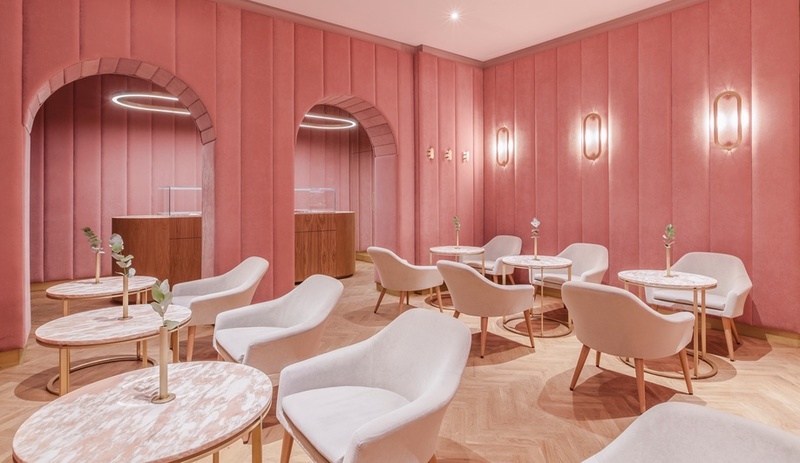 Imagined by Buck Studio, a local architecture and design firm, Nanan blends different textures and shades to create a tone-on-tone aesthetic that wouldn’t be out of place in a Wes Anderson film. 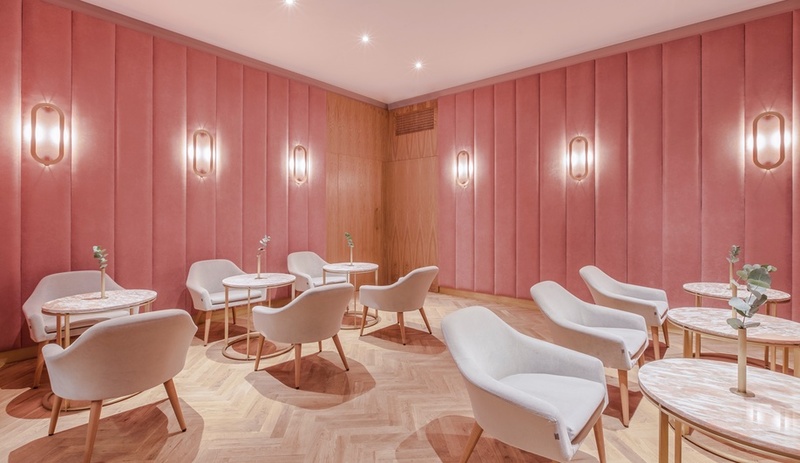 The walls of the 96-square-metre, 14-seat space are panelled in a soft velvet, complemented by warm oak parquet flooring in a chevron pattern. 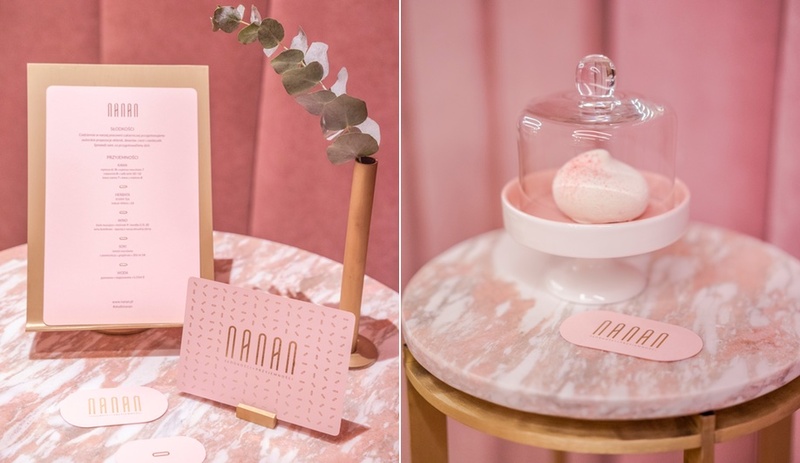 Nanan specializes in high-end cakes and pastries, which Buck used as inspiration. 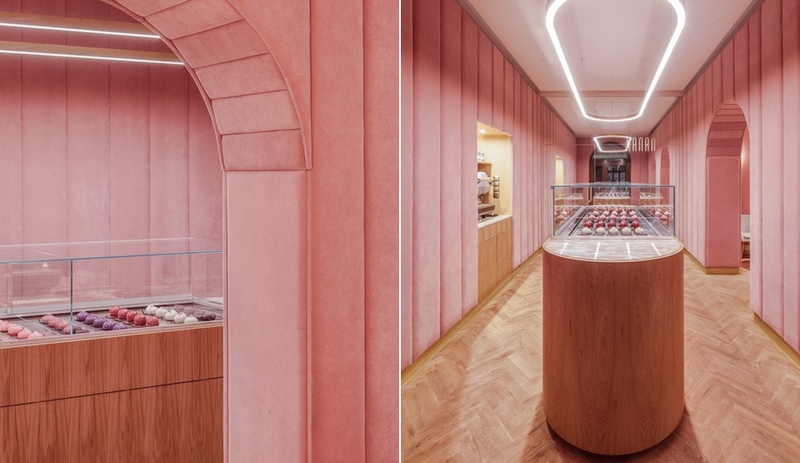 In the retail area, the pastries are on view in éclair-shaped wood display cases. 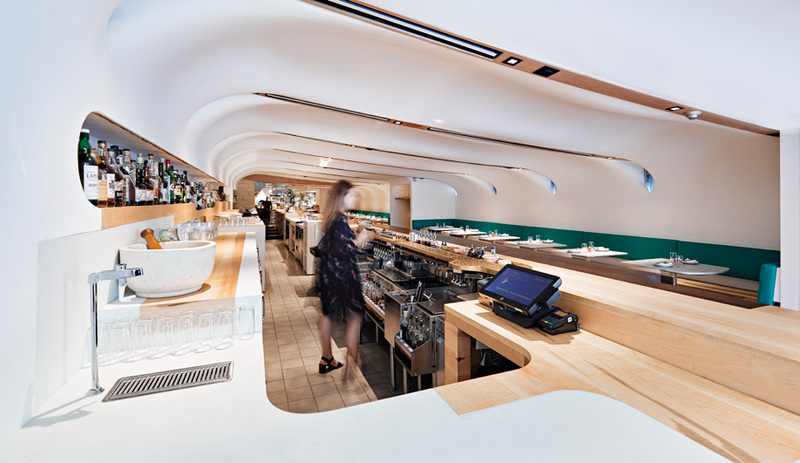 The shape is mirrored by two similarly shaped LED chandeliers – Buck’s own design – suspended overhead. 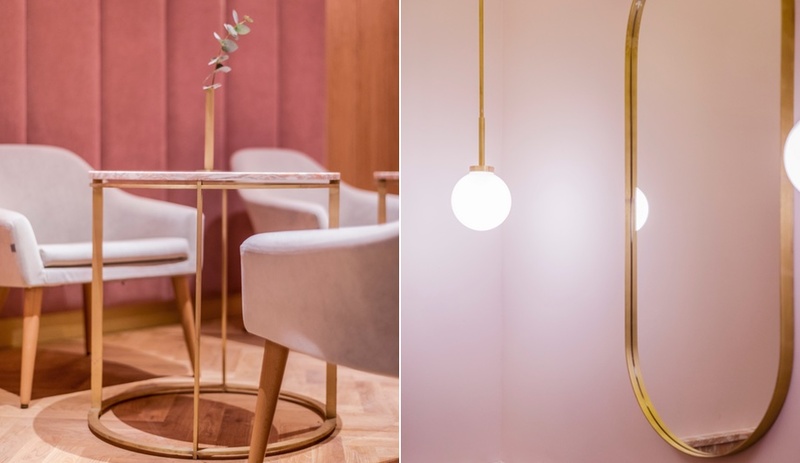 Buck is also behind the wall sconces and ball pendants found in the dining area and washrooms, as well as the coffee tables, which feature brass bases topped with circular pink marble surfaces.